Since the early 1990s, the use of teams has exploded all over the world. In fact, teams today are ubiquitous in all types of organizations, and they are often tasked with completing a variety of different assignments and jobs in all types of industries. And even though there are many different viewpoints on the endless number of key performance levers for teams, one thing that is generally agreed upon is that the most important ingredient for a high performing team is effective leadership. Whether that leadership comes from one (or more) formal leaders or emerges from inside teams when team members assume leadership responsibilities, the fact remains that the ability of a team to be successful will be heavily reliant on how effectively that team is led. The bad news is that most of what we know about effective team leadership is based on books that used research and case studies from the late 1980s, 1990s, and the 2000s. The problem is that due to the rapid, exponential changes teams have undergone in just the last decade, most of the key recommendations we have for team leadership are sorely outdated. If we aren’t careful, mistakes we make in how we lead teams may actually create unintended risks that impact their ability to achieve the desired objectives. These differences present new types of risks related to the use of teams that, if left unmanaged, may impede the ability of the team to achieve their intended objectives. What Is 3D Team Leadership? Once we identified the many ways in which yesterday’s teams are different from today’s teams, we recognized that almost all of the books and articles that are available to today’s leaders to help them lead their teams more effectively are still focused on characteristics reflecting yesterday’s teams. That is, they do not capture the complexity of the new teaming environment. That is why my colleague, Dr. Brad Harris, and I developed our Three-Dimensional (shortened to “3D”) Team Leadership model. 1 Our approach better captures the challenges facing leaders charged with maximizing team performance today. There is the team as a whole. Most books focus on this dimension of teams almost exclusively by instructing leaders how to motivate, coach, and reward entire teams. The problem is that a sole focus here might mean that the individuals in teams get overlooked. There are individuals on the team. Leaders need to focus on the individuals in a team (despite the oft-heard phrase, “There is no ‘I’ in team.”). If leaders ignore the “I’s” in their teams, they run the risk of alienating members and failing to recognize and reward individual performance in team settings. There are subteams within an overall team or smaller subsets of team members that cluster together to work on specific tasks. With teams taking on more and more complex tasks today, it is not uncommon for members with similar skills to tackle various assignments over a period of time and then integrate their outputs into the larger, overall team. How Does a Leader Know When to Focus on Which Dimension? So, now that you know that there are three very important dimensions to focus on in most of today’s teams, the next logical question is how does a leader know which dimension to focus on the most at any given point in time? The secret lies in knowing how a particular team best carries out its tasks, specifically a concept known as interdependence. Team interdependence refers to the extent to which a team requires members to communicate, collaborate, integrate, and coordinate their efforts to get their jobs done. As you might expect, team interdependence lies on a continuum from low to high. At the very lowest level of interdependence, often referred to as pooled interdependence, team members do not actually work closely together to get their jobs done. Think about a set of insurance sales agents working in a particular geographic territory – their performance depends in large part on how many policies members sell individually, not collectively. In fact, this is not a real team, but rather would be more appropriately referred to as a “group.” If you are leading an entity that resembles a group, then you would focus most of your attention on leading the “I’s” in your team. In fact, setting up team goals or rewards systems would make no sense in this situation. Unfortunately, we have seen instances in which leaders tried to force a team concept onto a group with disastrous results. If you really have a group, don’t be shy about calling it what is and leading it that way despite the pressure to call everything a team these days. A higher level of interdependence, often referred to as reciprocal interdependence, is where you actually start to have a real team. That is, team members have to constantly exchange the “stuff” they need to work with to get their jobs done. Think of a risk management assessment team that is charged with determining risk levels for a very valuable unit in an organization. Each member must constantly exchange information and resources with every other member to ensure that an accurate risk assessment is made. If you have a real team such as this, your focus should primarily be on the team as whole. That is, you will want to set up a performance management system that emphasizes team performance more than individual performance. Finally, at the very highest level of interdependence, or what is know as multilayered interdependence, you have an overall team that is actually composed of a set of subteams within it. Think of a risk management assessment team focused on identifying risks to the entity’s core business model with nine members organized into three smaller subteams of three members each. 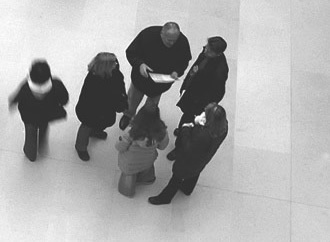 Two of the subteams might be tasked with identifying and assessing risks related to the entity’s products and services that might be triggered by internal events within the entity, while the remaining subteam might be charged with identifying and assessing risks that might be triggered by external events outside the entity’s ability to control. So, even though these subteams can operate rather independently from one another (at least for awhile), they still have to integrate what they are doing from time to time so that the whole team can succeed. This type of team represents a real challenge for leaders because they have to focus on three different types of interdependence, including: (a) the interdependence between members of each of the subteams (i.e., within-subteam interdependence); (b) the interdependence that exists between each of the subteams (i.e., between-subteam interdependence); and (c) the interdependence that exists between the whole team and its external environment (i.e., across-subteam interdependence). In our experience, leaders struggle the most with between-team interdependence because subteams often fail to integrate their efforts hurting overall team performance. What Does It Take to Be a Successful 3D Team Leader? If teams were still the static entities they once were in the past, our advice for leaders would be relatively straightforward. That is, all you need to do is figure out what you are leading – a group, a team, or a set of subteams – and then focus on the corresponding dimension that is most important. However, today’s teams are dynamic, with many of them following some type of project lifecycle model (e.g., waterfall, Agile), and they are likely to morph from groups to teams to a team of subteams and back again, sometimes unpredictably, depending on task requirements. So, it is incumbent upon leaders to be able to “shift” their focus across all three dimensions equally well when the situation calls for it. Unfortunately, in our work with many leaders, we have found that most of them are good at managing one, maybe two, but rarely all three dimensions equally effectively. And, that is why we wrote 3D Team Leadership – to help leaders better navigate these tricky transitions. Leader flexibility/adaptability – because 3D team leadership requires that leaders shift their focus under changing circumstances, they have to have the ability to change, adapt, and offer different approaches when the situation calls for it. Leader switching behavior – this refers to a leader’s specific ability to switch his/her focus from individuals to teams to subteams (in any order) when the situation changes, which is obviously tied to the core principles of our 3D approach. Leader ambidexterity – because changing focus on three different entities requires the ability to manage competing priorities and dimensions, leaders need the ability to reconcile competing goals between dimensions and make trade-offs. Leader emotional intelligence – this refers to a leader’s ability to recognize his/her own and others’ emotions and use this information to support thought and action, which is important given that leaders will need to remain calm when dealing with tensions among the dimensions and unanticipated team member reactions. Leader authenticity – even though our 3D model encourages leaders to shift their focus across the various dimensions, this does not imply that leaders should be inconsistent in their works or actions; they need to adhere to a set of basic principles even as roles or situations change and remain comfortable with their true selves. Although you might be wondering how you can possibly do all of the actions and behaviors we recommend with our 3D Team Leadership approach, we cannot emphasize enough that today’s complex world of teaming requires a correspondingly complex leadership approach to maximize team effectiveness. We realize that it sounds daunting on the surface, but our 3D Team Leadership model will help you cut through this complexity with an efficient and powerful approach to leading today’s teams. 1 We address this further in our book, 3D Team Leadership: A New Approach for Complex Teams. Stanford, CA: Stanford University Press, Kirkman, B.L., & Harris, T.B. (2017). Bradley L. Kirkman is the General (Ret.) H. Hugh Shelton Distinguished Professor of Leadership and Department Head of the Management, Innovation, and Entrepreneurship Department in the Poole College of Management at North Carolina State University. His research focuses on leadership, international management, virtual teams, and work team leadership and empowerment. Brad has worked with numerous companies on issues such as leadership, global virtual teams, enhancing team effectiveness, working across cultural boundaries, and facilitating organizational change and development. 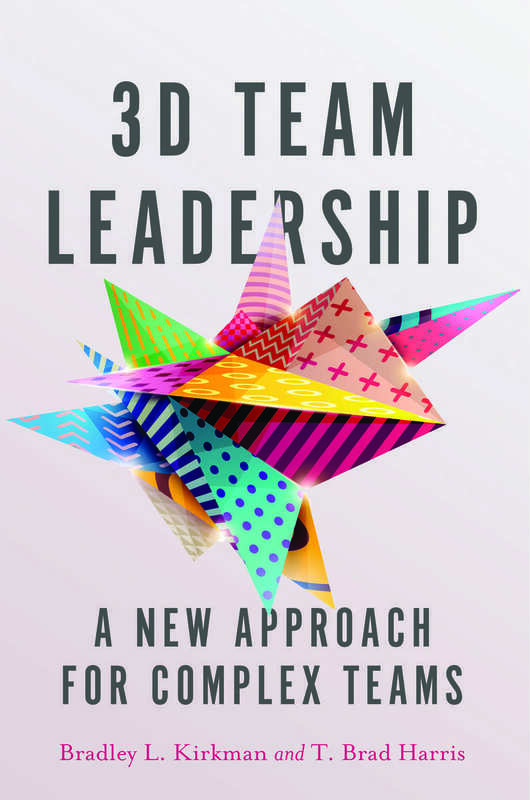 He is the author of 3D Team Leadership: A New Approach for Complex Teams (http://www.sup.org/books/title/?id=26150). Contact Brad at blkirkma@ncsu.edu.